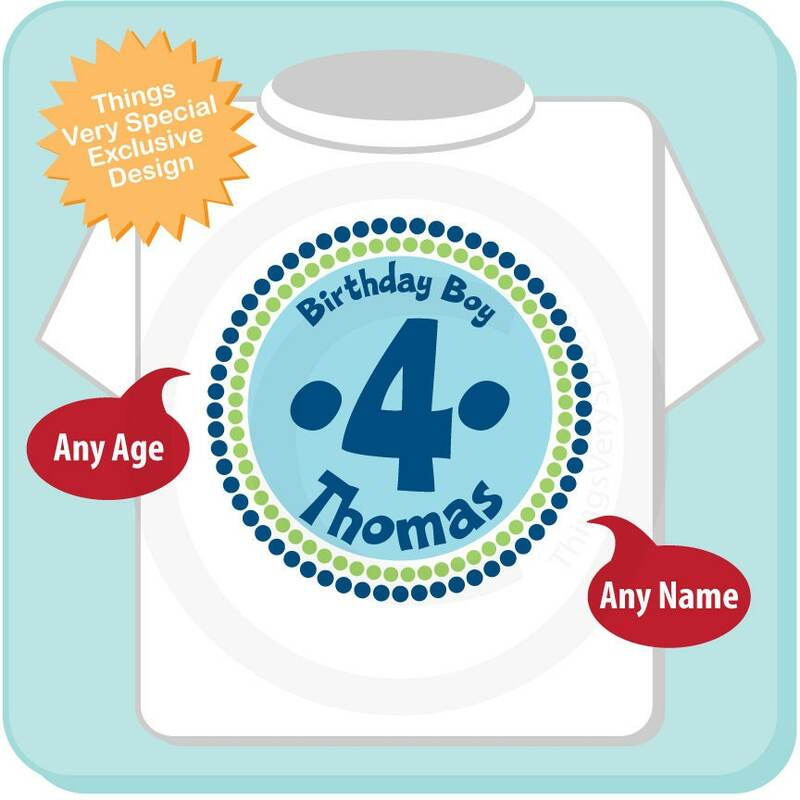 4th Birthday Shirt for boys. 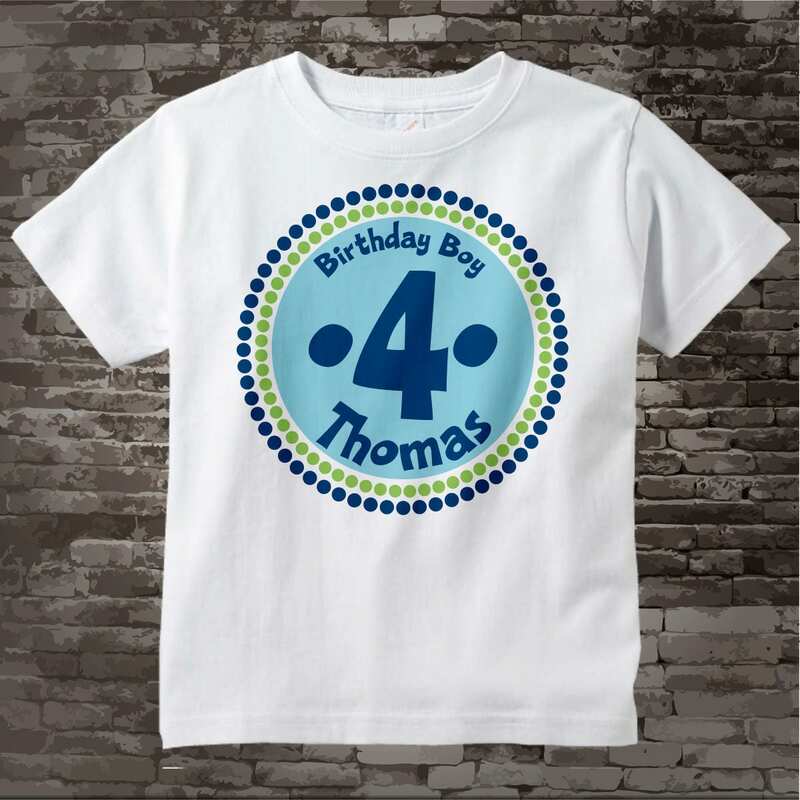 This cute tee shirt or Gerber Onesie with cute blue, navy and green birthday Circle Design can be personalized with your child's name and age. Cute and arrived on time for my son's birthday party, but definitely SIZE UP as suggested. 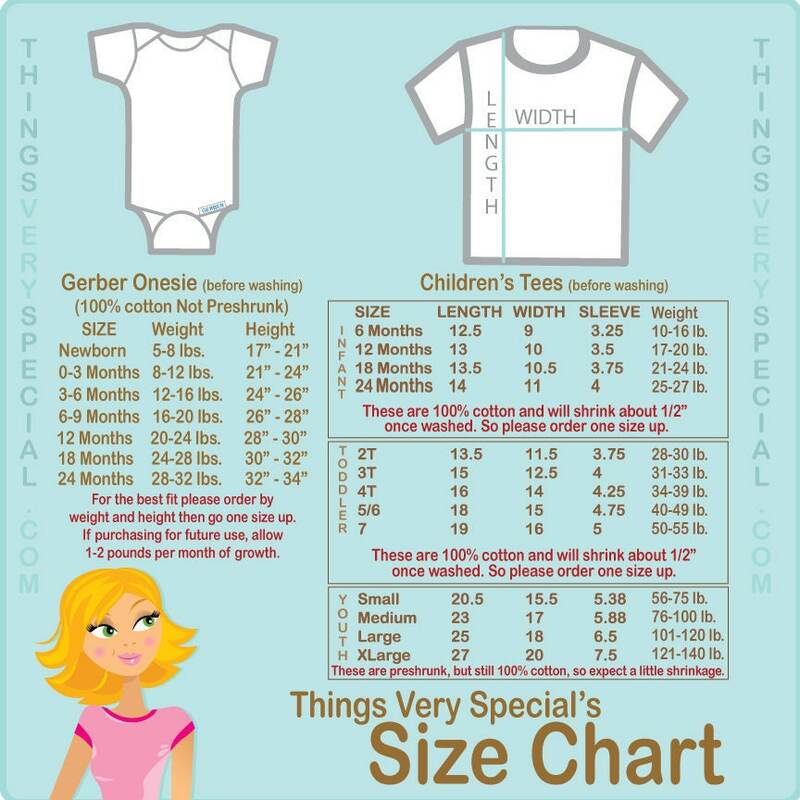 My son is 4 and in the 50th percentile, but the 4T was definitely small. He probably won't get much wear out of the shirts but that's my fault for not ordering a larger size.